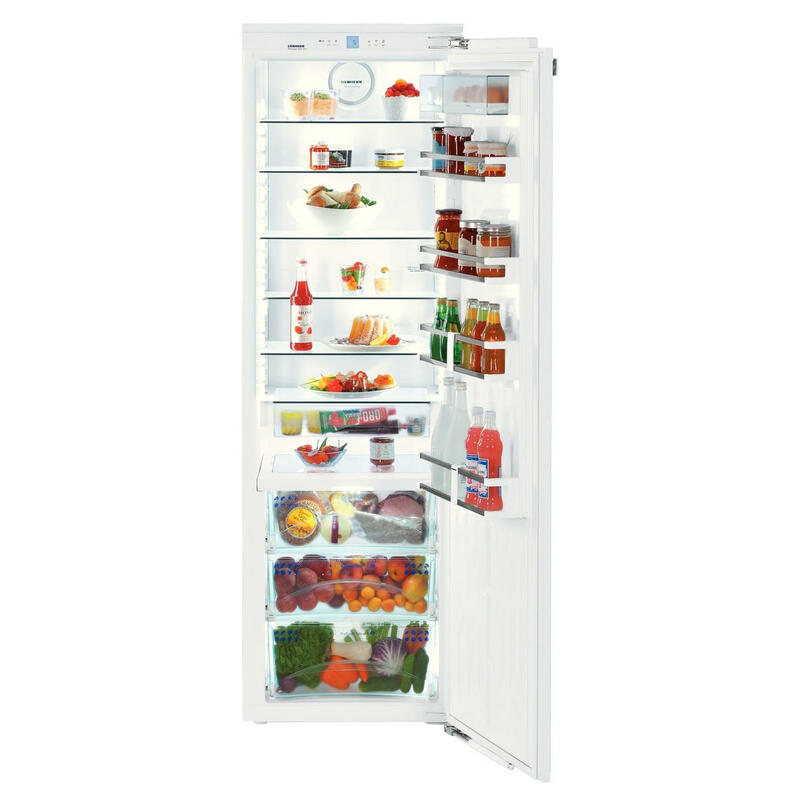 The Liebherr IKB 3560 BioFresh The fresher the products are, the greater is their value for a healthy diet. The BioFresh safes mounted on telescopic rails ensure the perfect climate for keeping food fresh longer. With the temperature maintained just above 0 °C and an ideal air humidity level, fruit and vegetables, meat, fish and dairy products retain their healthy vitamins, delicate flavour and attractive appearance for up to three times longer than in a traditional refrigerator. Drawers mounted on telescopic rails The drawers extend on smooth-running telescopic rails and can be conveniently removed at a door opening angle of 90°. The elegant Premium electronic control system ensures accurate compliance with the temperature selected. The electronic control system is placed in or behind the door or in the front housing, depending on the appliance type. The freestanding appliances also come with the innovative Touch feature. All the functions can be simply and conveniently operated by touching the touch control panel.